The Liberty 7-1/2 in. Stainless Steel Bar Pull offers a contemporary design for a modern look to your cabinetry. It is designed for use on cabinets and features a 7-1/2 in. center-to-center measurement for easy rear-mount installation. Complement your style with this pull. Amerock's wide variety of finishes, styles and sizes for all decorating tastes is the inspiration for the beautiful designs. Showcasing decorative hardware solutions that inspire, coordinate throughout the home and express personal style, Amerock Decorative Hardware is the perfect finishing touch for all rooms around the home. The beautiful, stainless steel finish complements any decor. 7-9/16 Steel Bar Pull, 1 per package The Liberty 7-1/2 in. 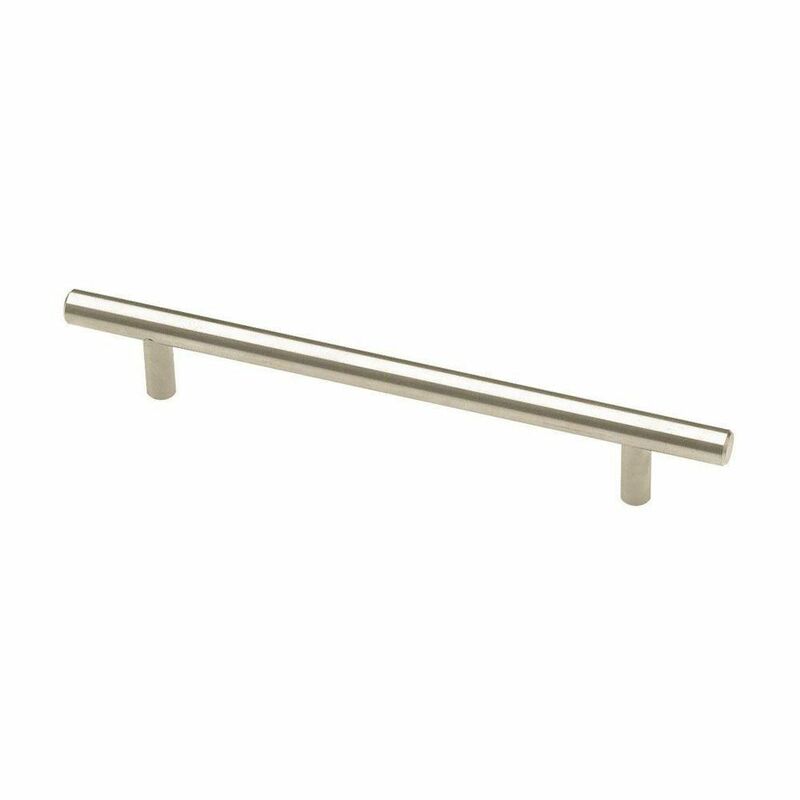 Stainless Steel Bar Pull offers a contemporary design for a modern look to your cabinetry. It is designed for use on cabinets and features a 7-1/2 in. center-to-center measurement for easy rear-mount installation. Complement your style with this pull. 7-9/16 Steel Bar Pull, 1 per package is rated 4.9 out of 5 by 7. Rated 5 out of 5 by 1Dave from Better than expected Very solid. No wimpy bar pull here. Used them under a shelf to give more hanger space for clothing. Rated 5 out of 5 by Anonymous from New kitchen cabinet handles I just love these new kitchen cabinet handles!! They emphasize the newly painted cabinets and pull the whole kitchen together. When the sales person at Home Depot said they were out of these at the time I was ordering materials....I didn't mind the wait it took to get them in and delivered to me. It was worth the wait!! Rated 5 out of 5 by amya3377 from Classy! We love what these handles did for the look of our new cabinets! Rated 4 out of 5 by Davem from nice I think I received this product and it seems like it is well made and will work well. However, I have not actually used this product as of yet.